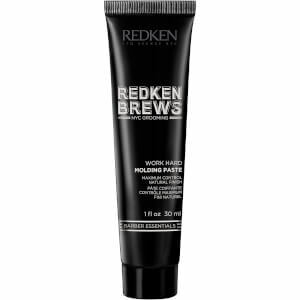 Save up to 30% + Receive a FREE Redken Brews Men's Work Hard Molding Paste when you buy two Redken Brews products. 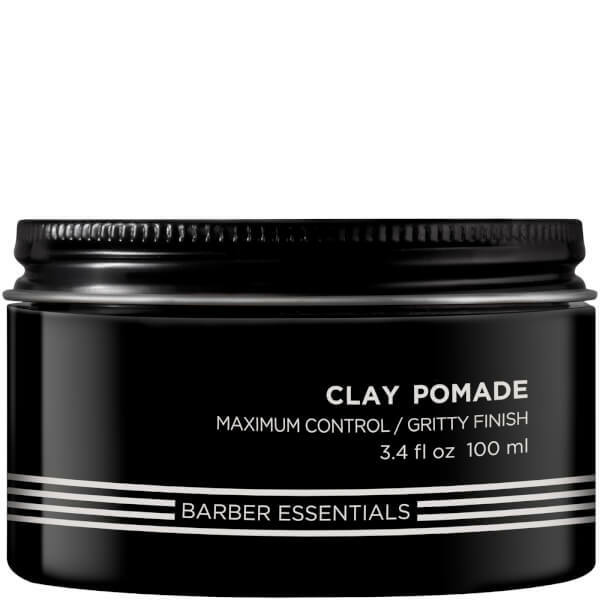 Achieve salon-worthy results with Redken Brews Men's Clay Pomade; the ultimate styling product with unrivalled pliability and maximum staying power. 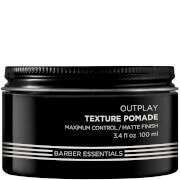 Suitable for all hair types, especially fine, the lightweight formula allows you to create textured, bed-head styles with strong hold, minimal effort and a gritty finish. 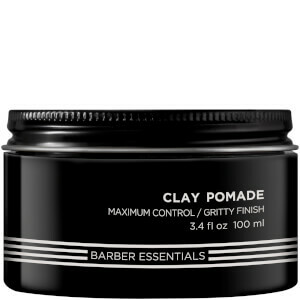 Rub a small amount in hands and work through damp or dry hair. Aqua / Water, Cera Alba / Beeswax, Bis-Diglyceryl Polyacyladipate-2, Va/Crotonates/Vinyl Neodecanoate Copolymer, Tribehenin, Cetearyl Alcohol, Paraffinum Liquidum / Mineral Oil, Ceteareth-33, Propylene Glycol, Peg-40 Hydrogenated Castor Oil, Kaolin, Caprylic/Capric Triglyceride, Phenoxyethanol, Aminomethyl Propanol, Methylparaben, Sorbic Acid, Isoceteth-20, Ethylparaben, Parfum / Fragrance, Sodium Benzoate, Talc, Disodium Cocoamphodipropionate, Propylparaben, Benzophenone-4, Linoleamidopropyl Pg-Dimonium Chloride Phosphate, Bis-Peg-12 Dimethicone Beeswax, Ci 14700 / Red 4, Ci 15510 / Orange 4, Ci 19140 / Yellow 5, Benzyl Salicylate, Coumarin, Linalool, Ci 42053 / Green 3, Limonene, Ci 60730 / Ext. Violet 2, Eugenol, Disodium Edta, Butylphenyl Methylpropional, Cinnamal, Ci 42090 / Blue 1.